For online orders, we ship to the United States only. To find international order information please visit our international distributor information here or call our customer service line at 800-639-4099. Sales Tax will be added to all orders shipping to Vermont. *Free shipping (For U.S. Orders Only) is after discount, if any, is applied. Shipping rates are for online orders only. Please contact a representative for wholesale or retail orders. Chelsea Green estimates shipping and delivery dates based on the availability of your items. Please allow 1-2 business days for processing. Our warehouse ships Monday through Friday only. We are closed Saturday and Sunday and no orders will be processed those days. Our warehouse is closed on certain holidays and during our annual inventory. If for any reason you are not completely satisfied with your purchase we’ll promptly exchange it or refund your purchase price. 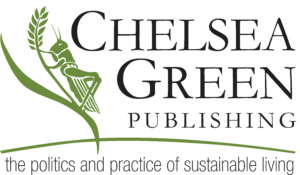 To return items from your Chelsea Green Publishing order, please call our Toll Free number (800.639.4099) to arrange the return. Returns may be made within 30 days of delivery to you. For any questions or requests please contact our Customer Service Representatives at: 800.639.4099 or email [email protected]. Returns apply only to those items purchased from Chelsea Green Publishing. It does not apply to books bought at another bookseller, online, or retail store. Partial returns on bundles and special packages are not accepted.